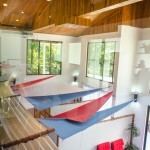 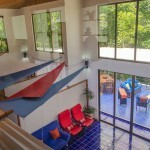 25 foot high vaulted ceilings give The Loft is unique feeling of openness, with floor to ceiling glass windows that offer breathtaking views of the surrounding tropical jungle. 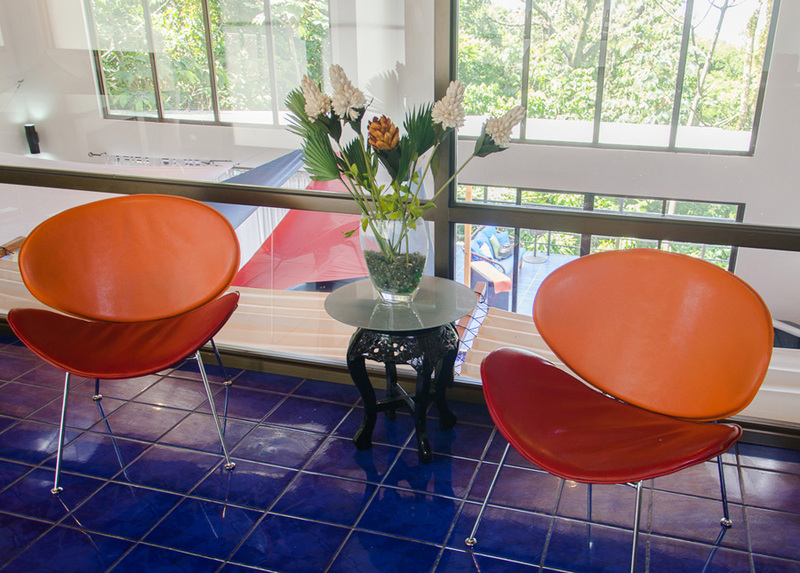 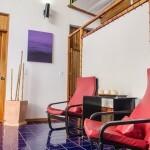 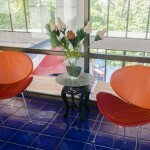 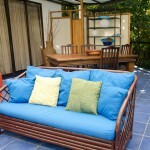 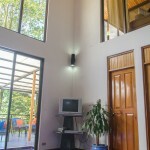 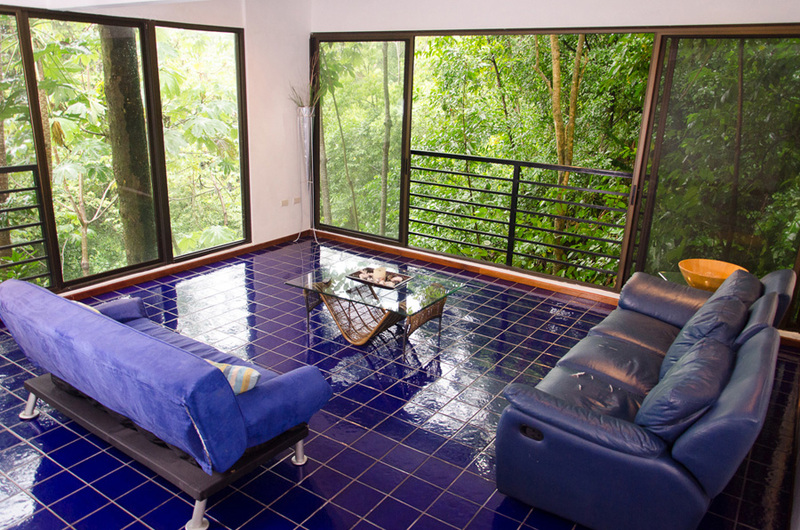 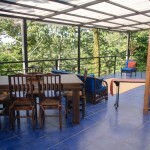 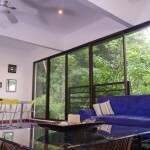 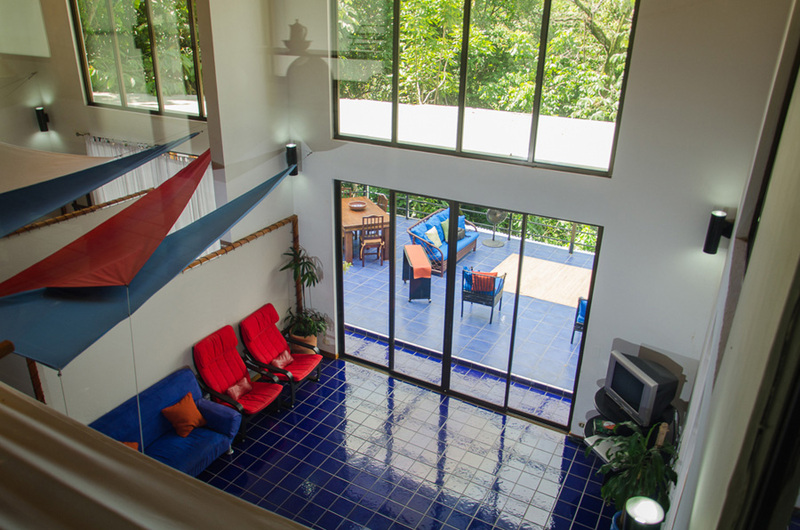 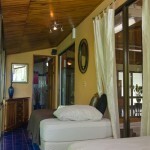 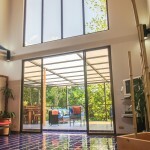 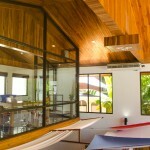 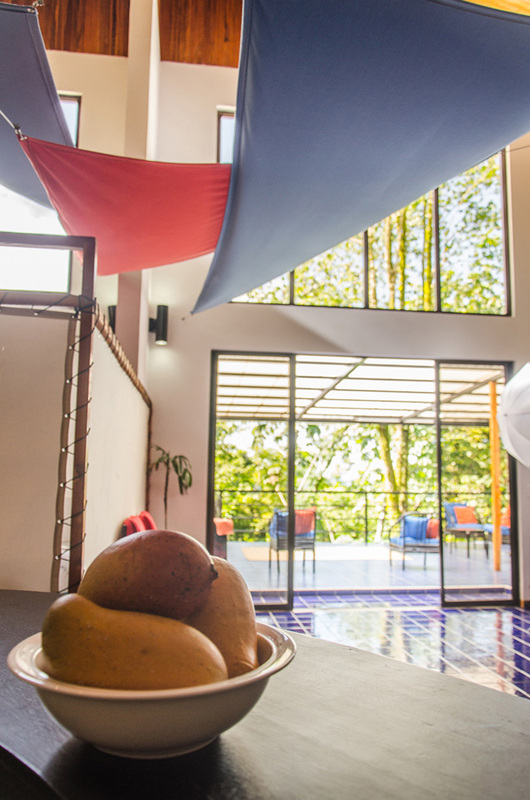 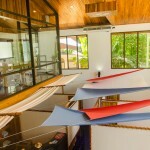 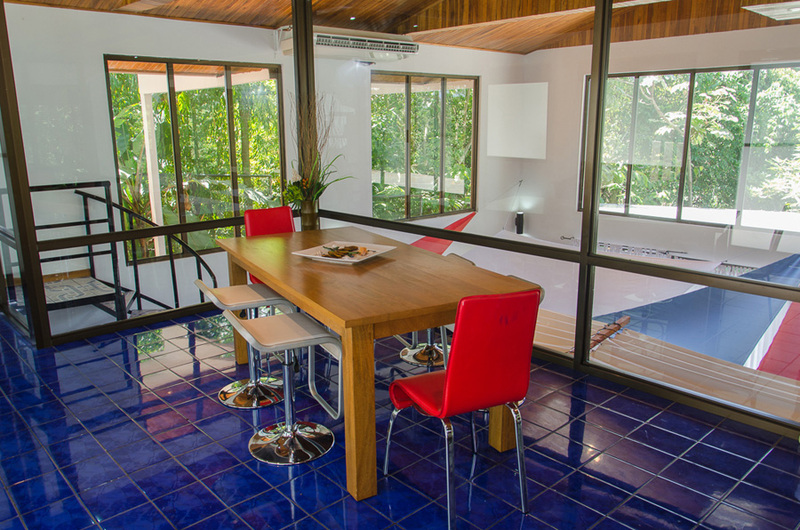 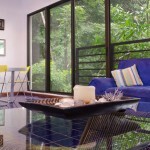 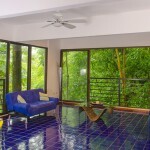 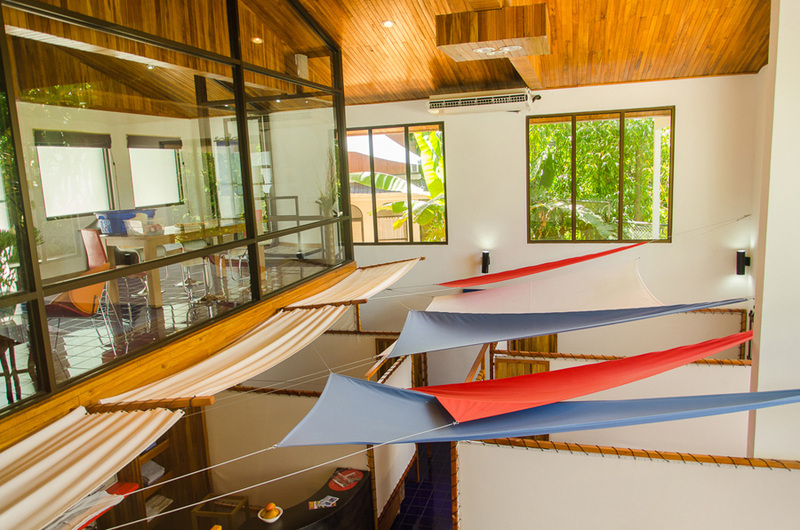 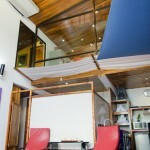 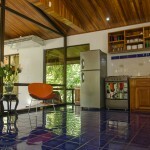 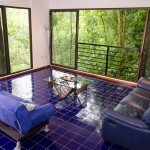 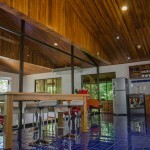 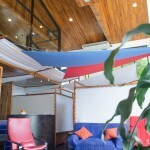 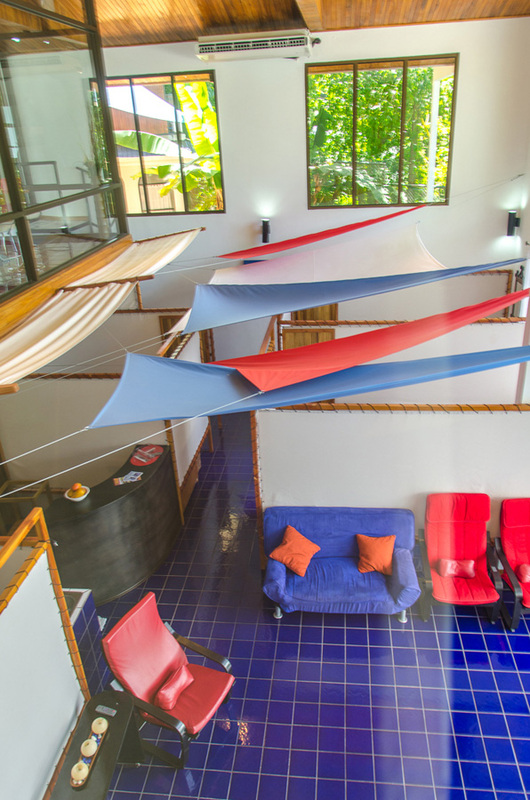 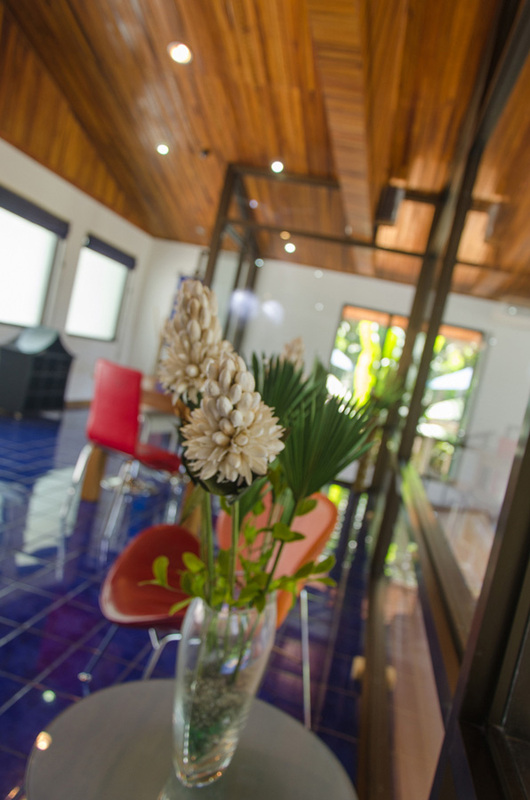 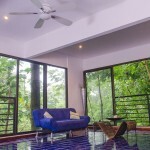 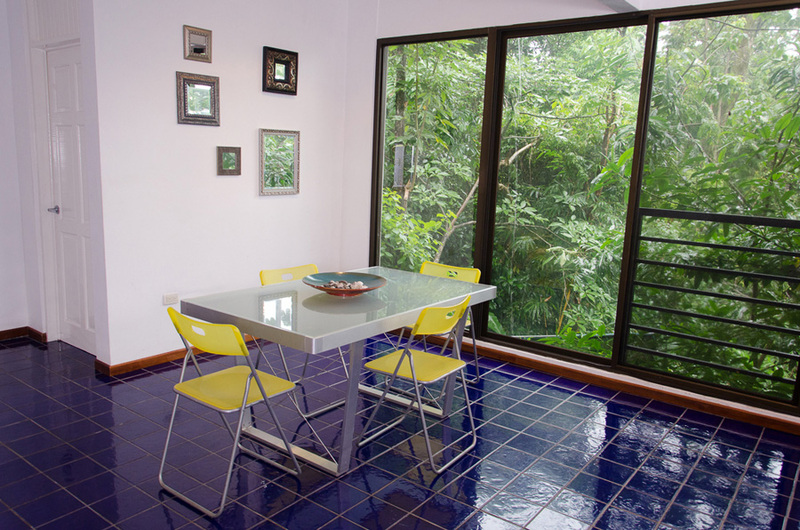 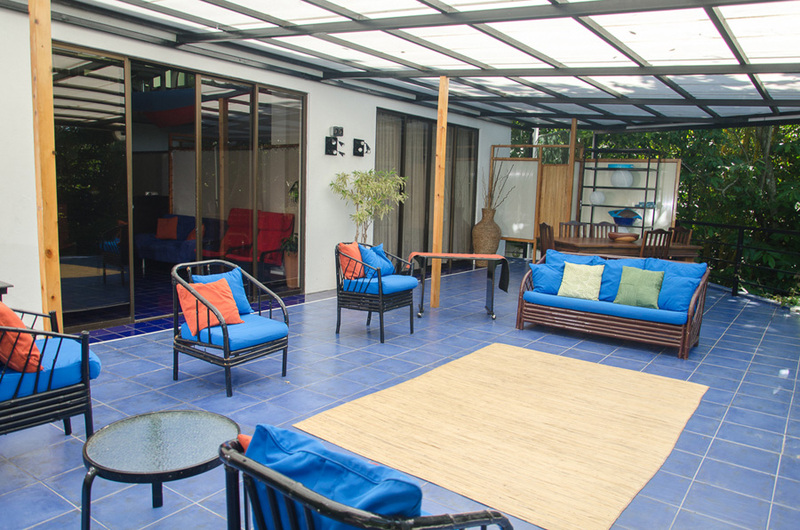 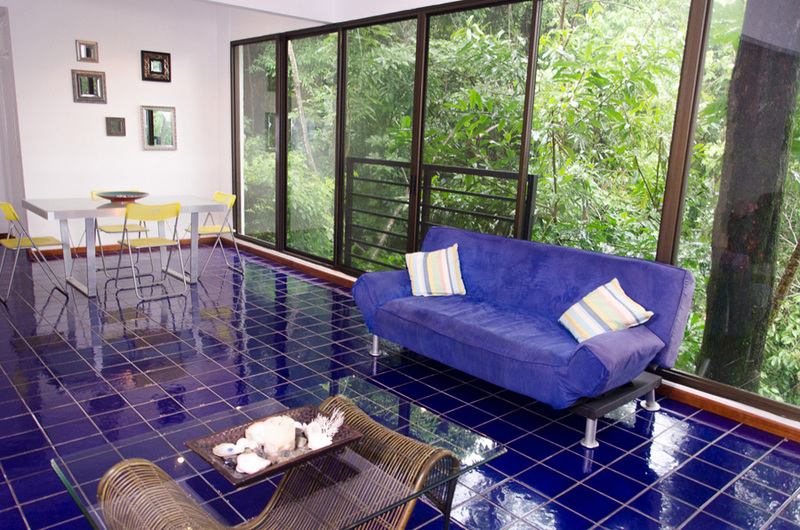 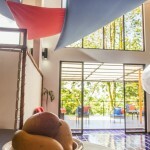 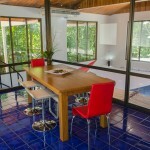 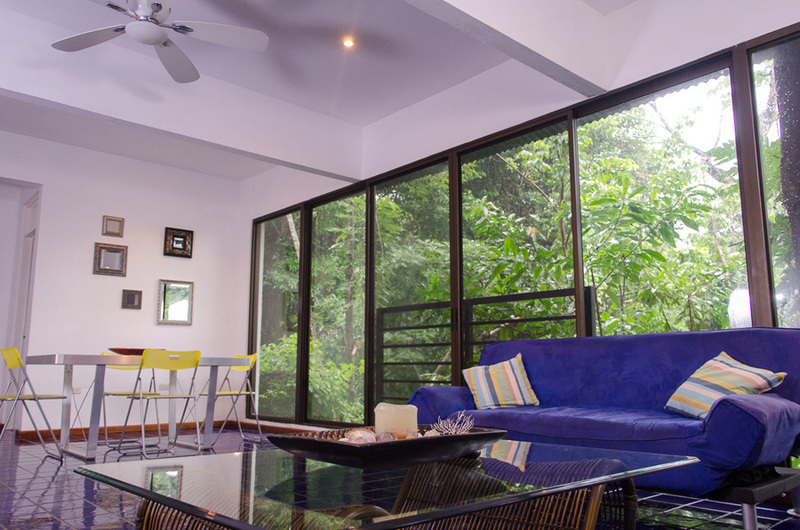 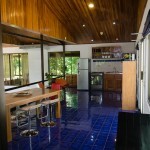 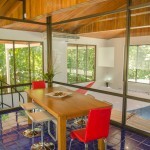 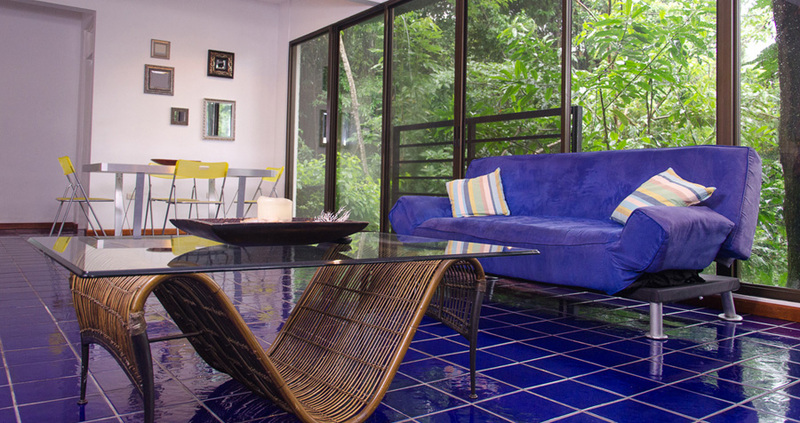 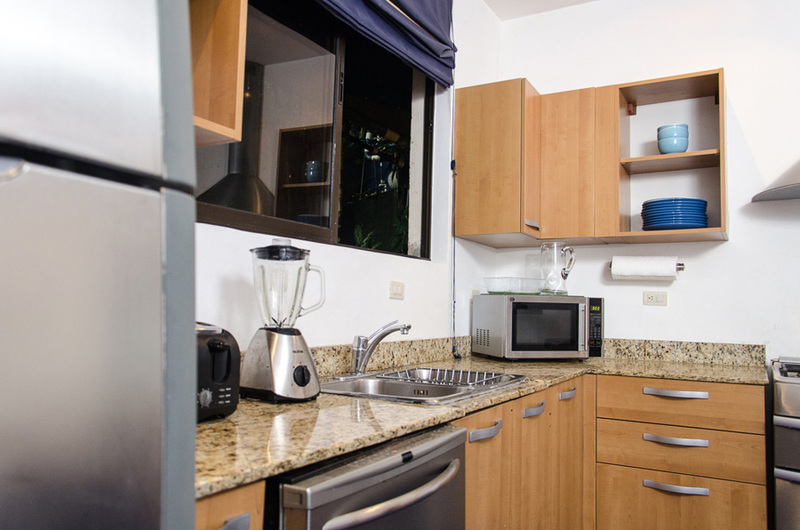 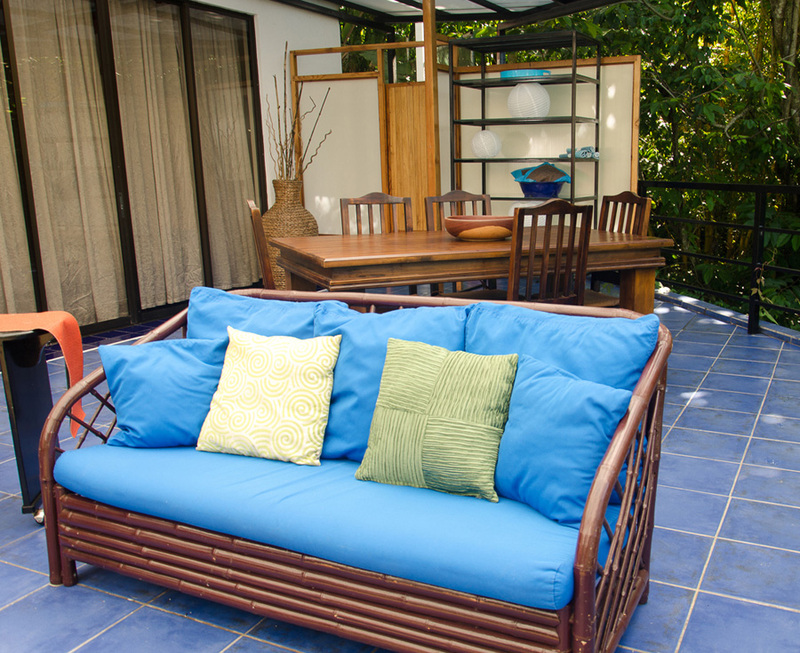 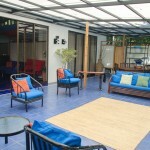 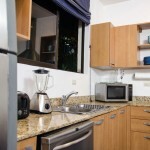 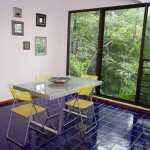 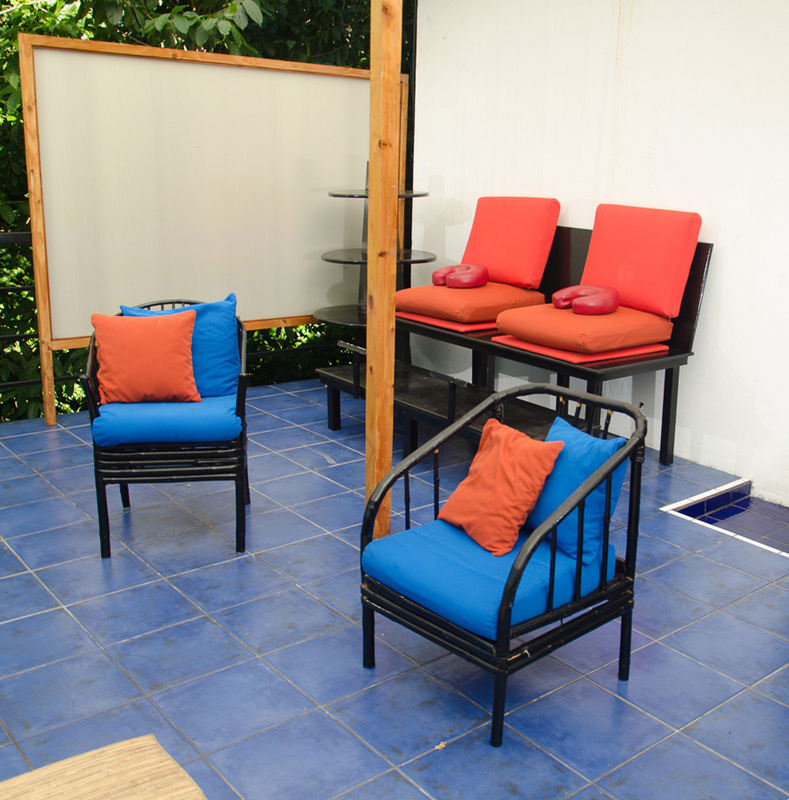 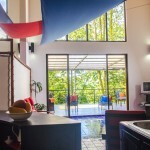 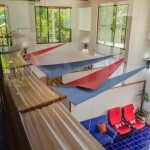 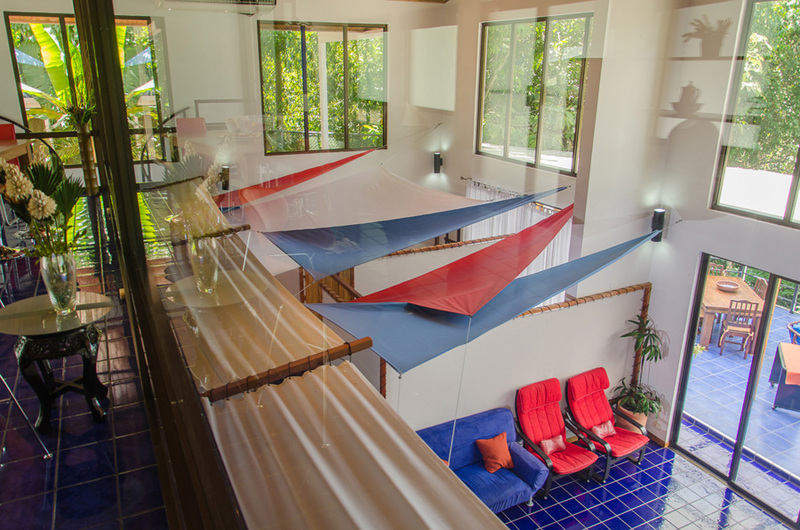 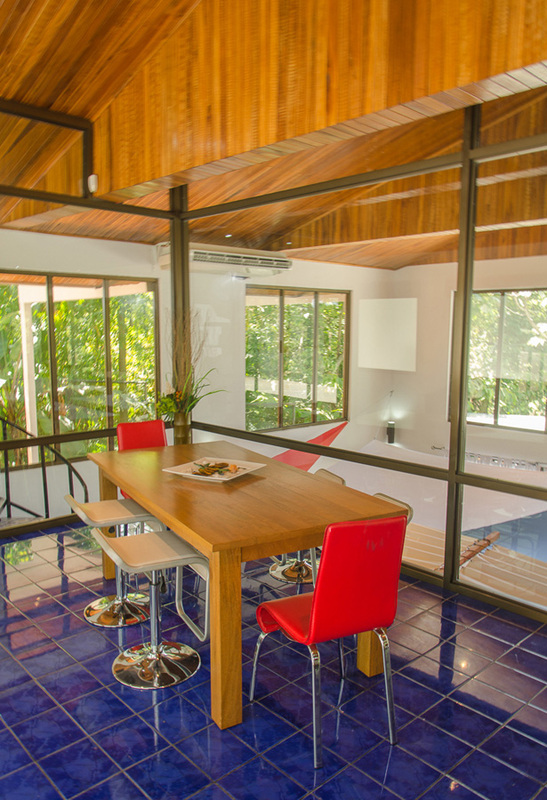 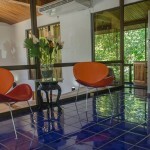 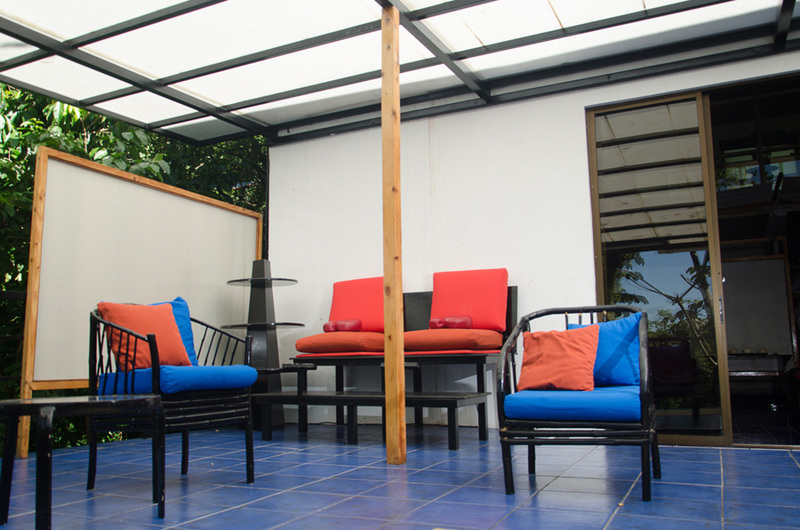 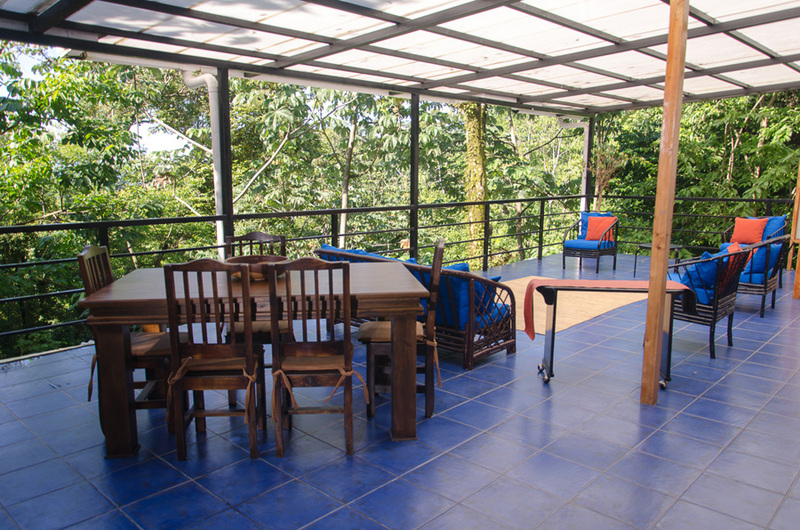 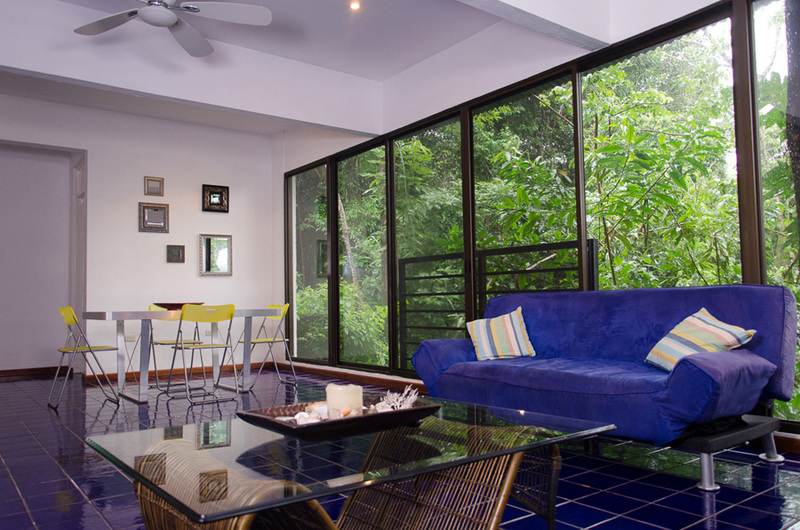 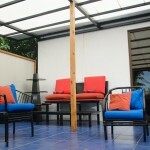 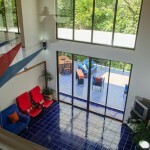 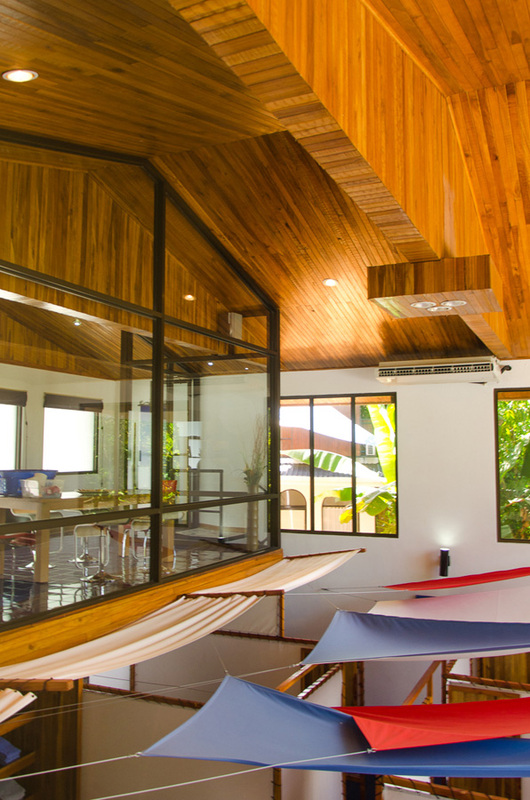 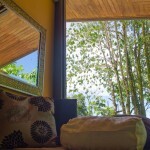 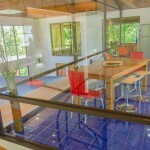 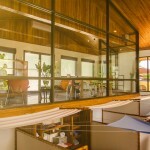 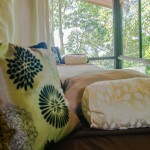 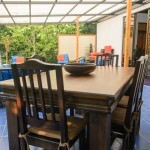 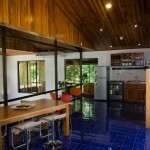 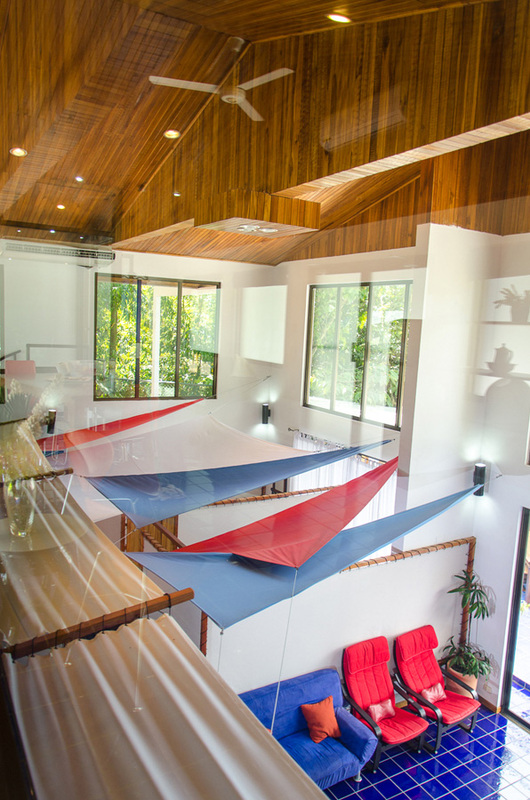 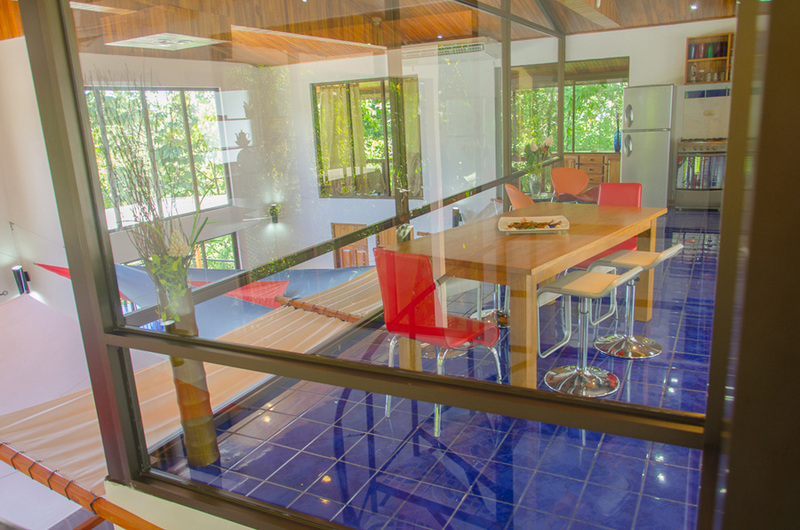 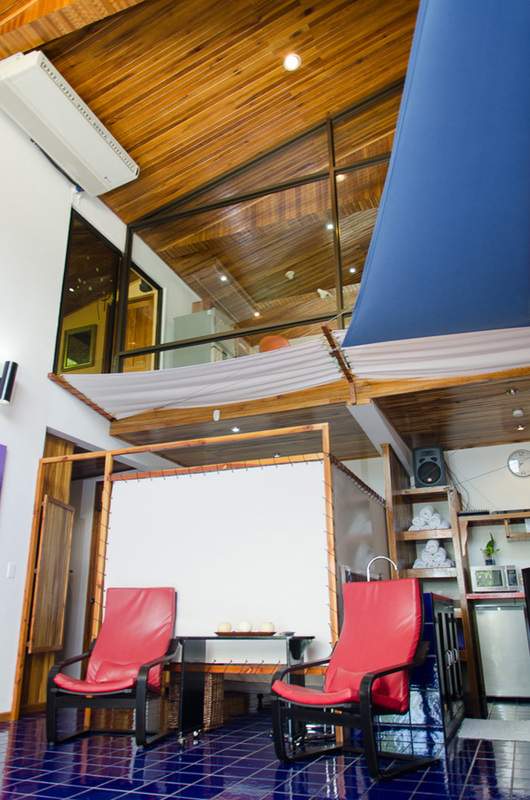 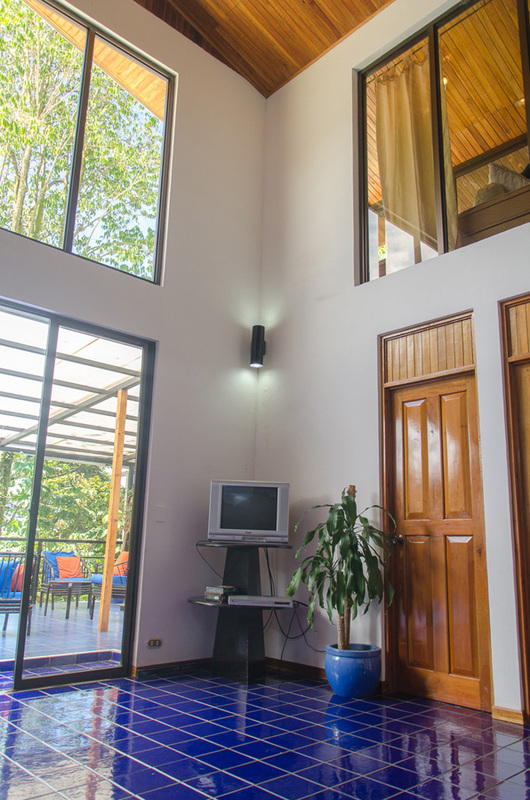 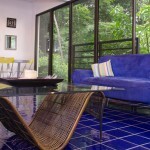 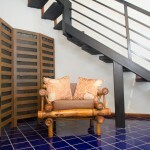 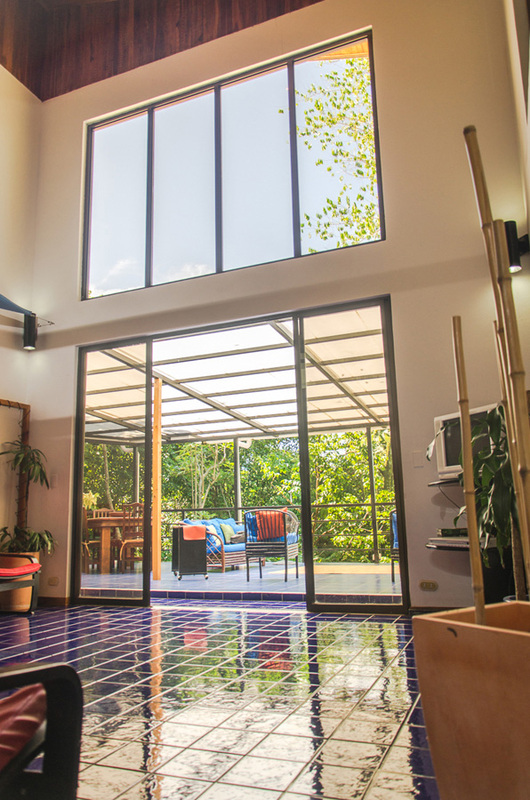 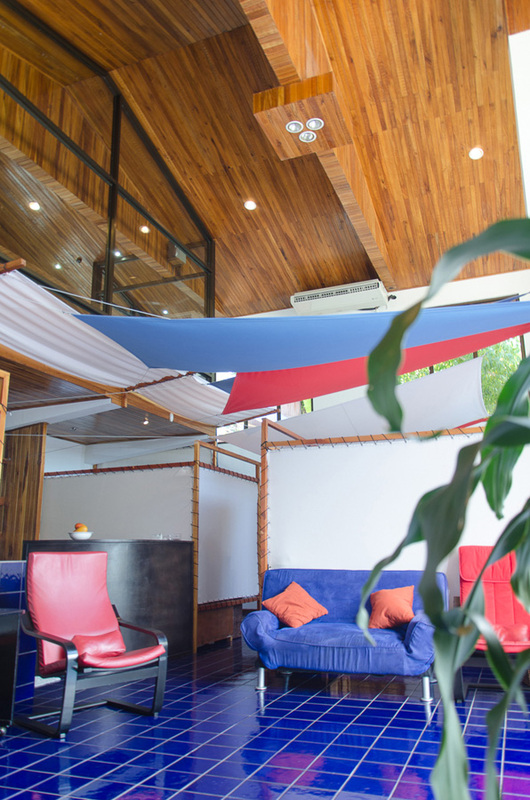 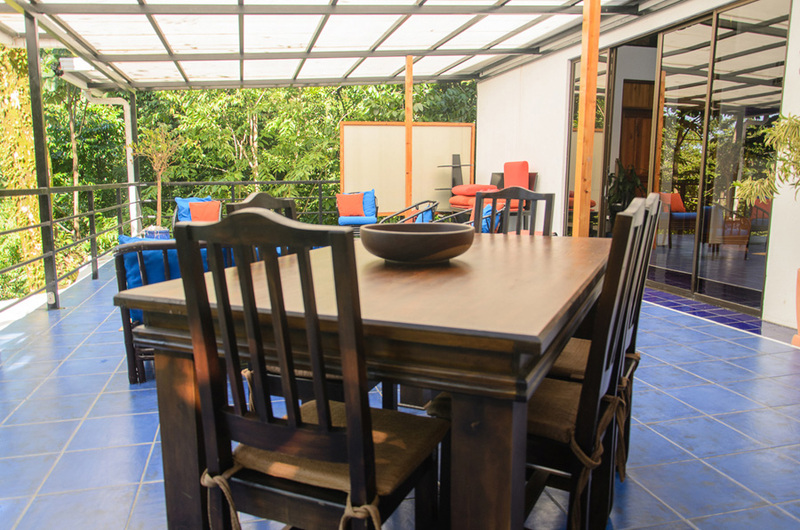 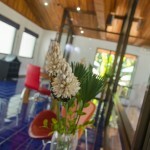 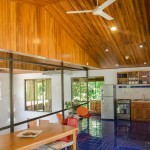 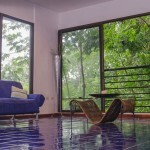 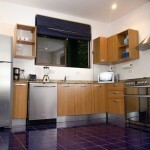 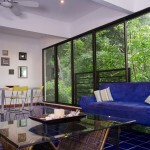 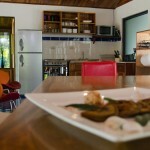 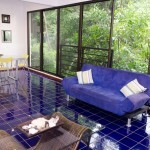 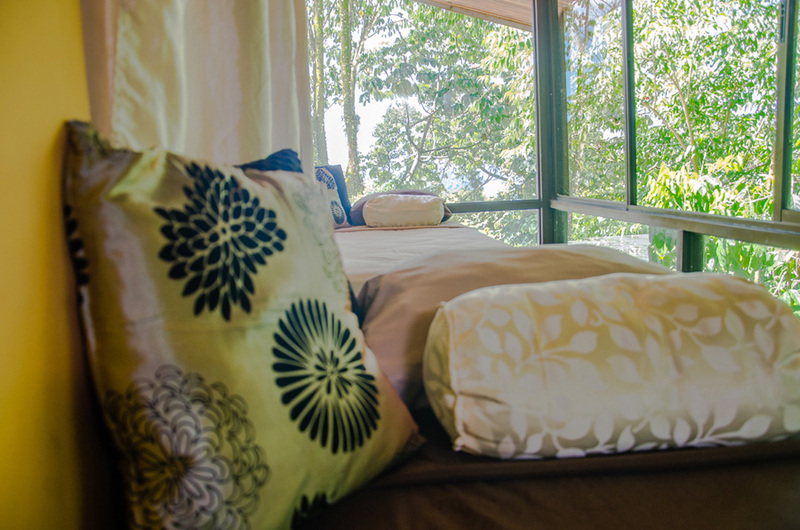 The 600 sq ft covered deck is great for lounging and has partial views of Manuel Antonio national park and the Pacific. 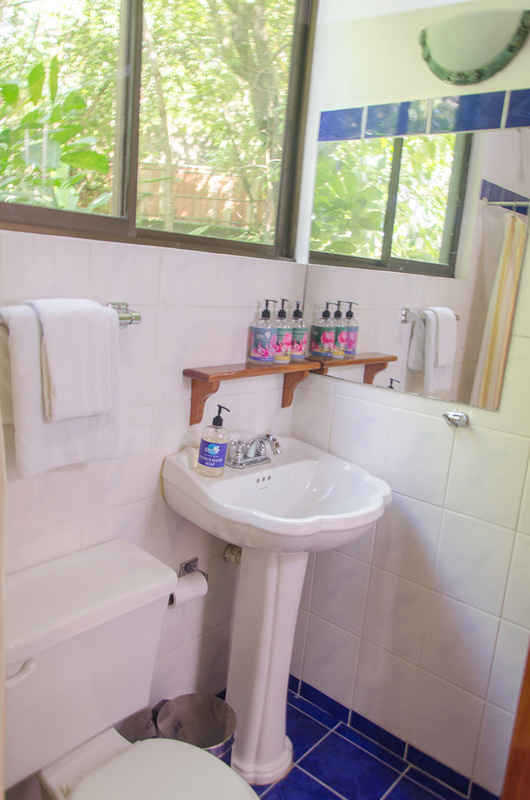 Monkeys and sloths come by just about every day so be sure not to leave any of your things unattended outside or they might become monkey property! 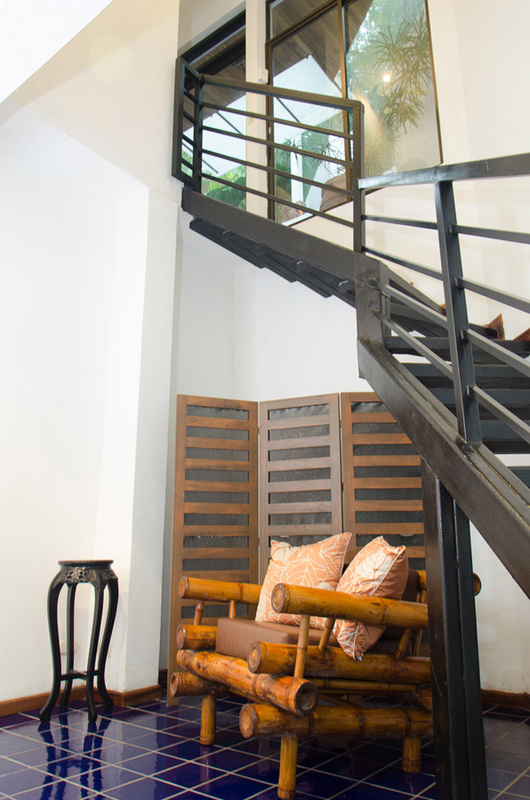 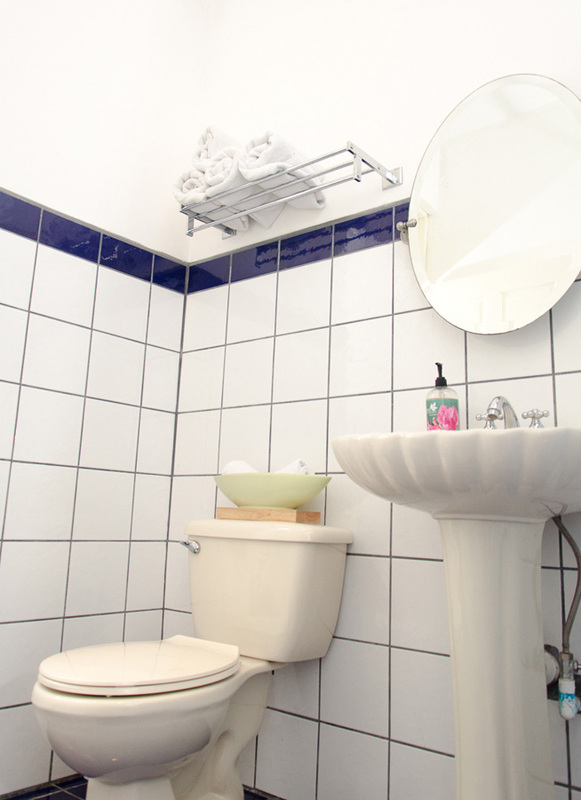 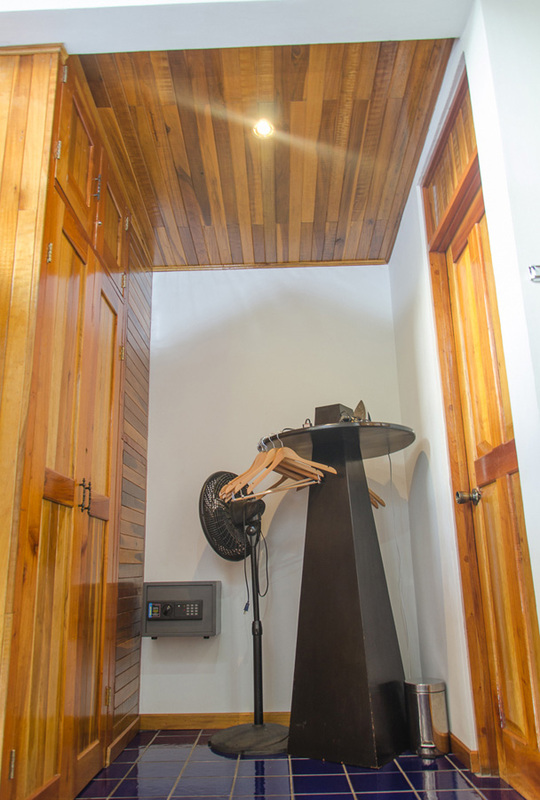 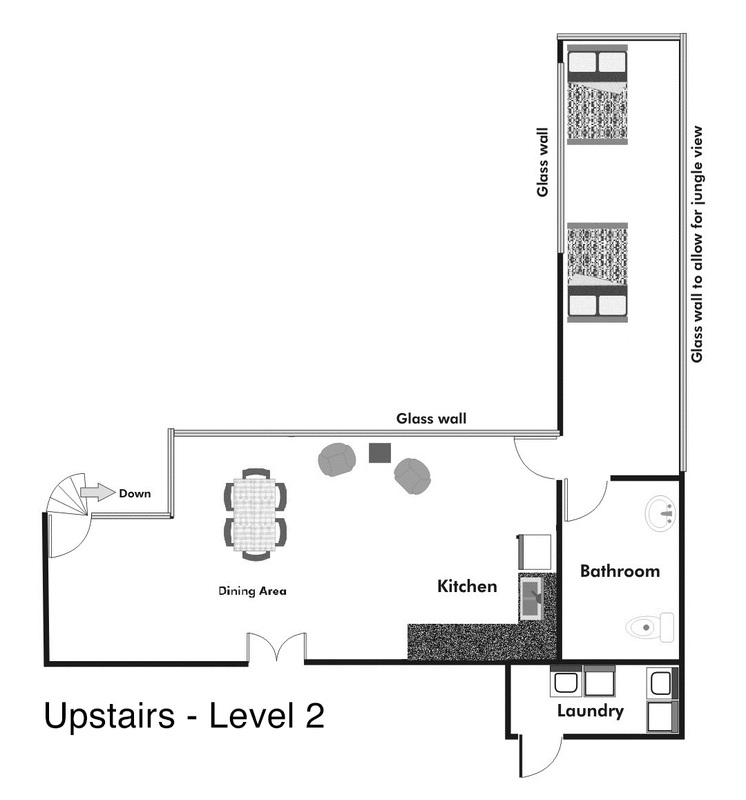 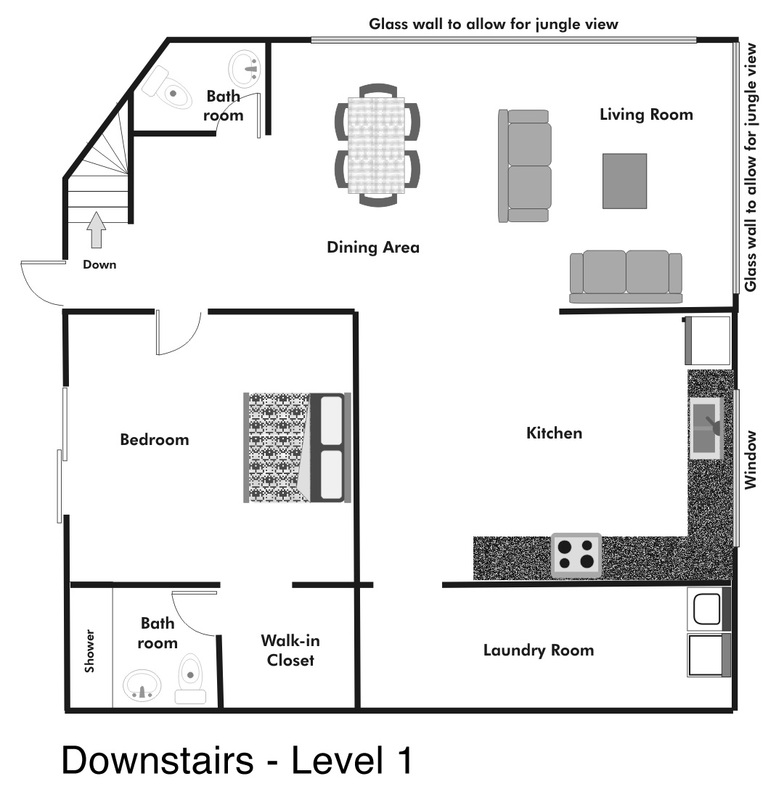 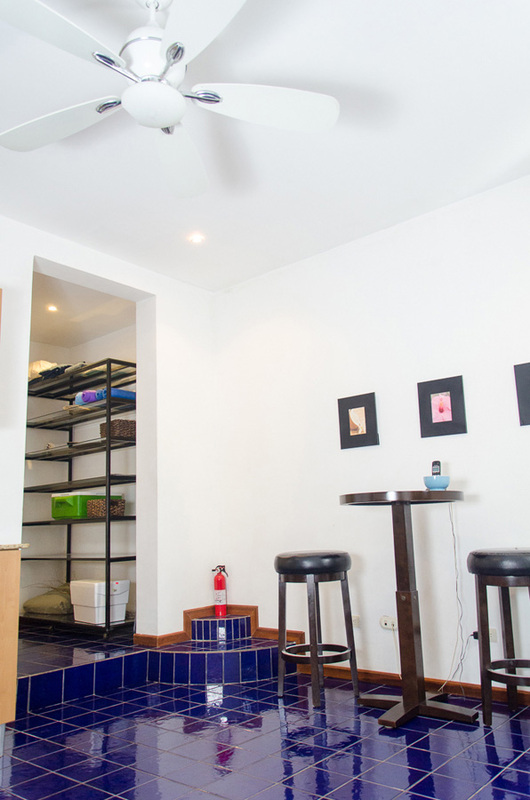 The Loft features 4 bedrooms and 3.5 bathrooms and can sleep up to 8. 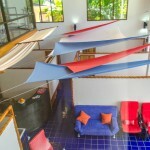 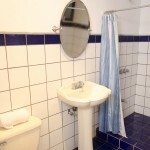 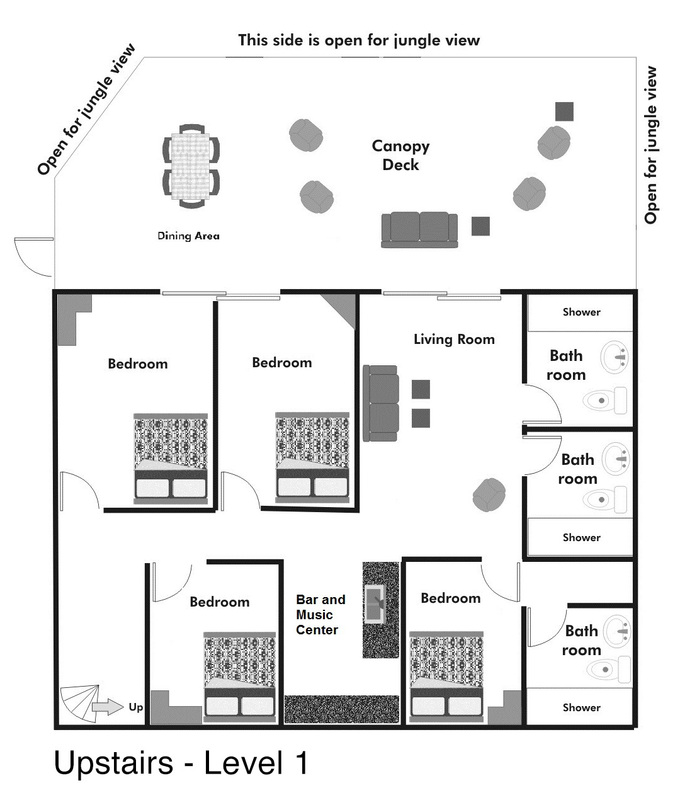 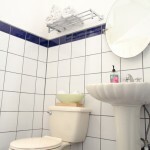 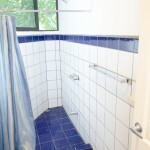 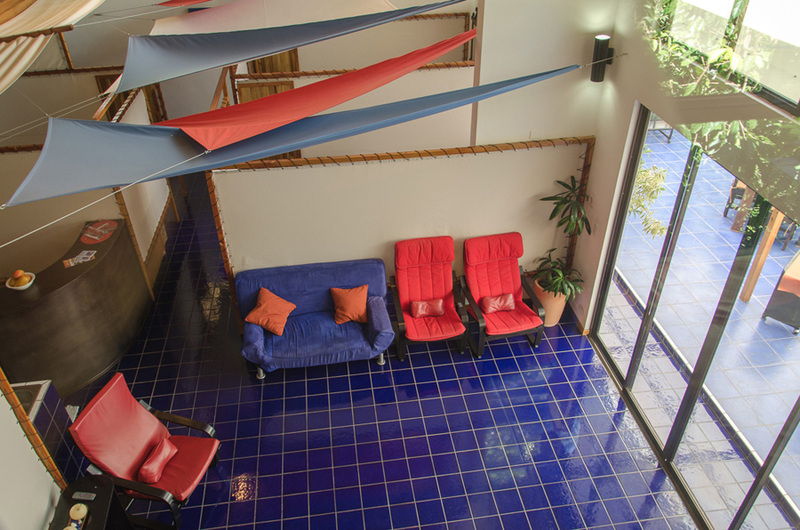 All of the bedrooms are in the same lofted area so it is great for couples and families who want to be connected. 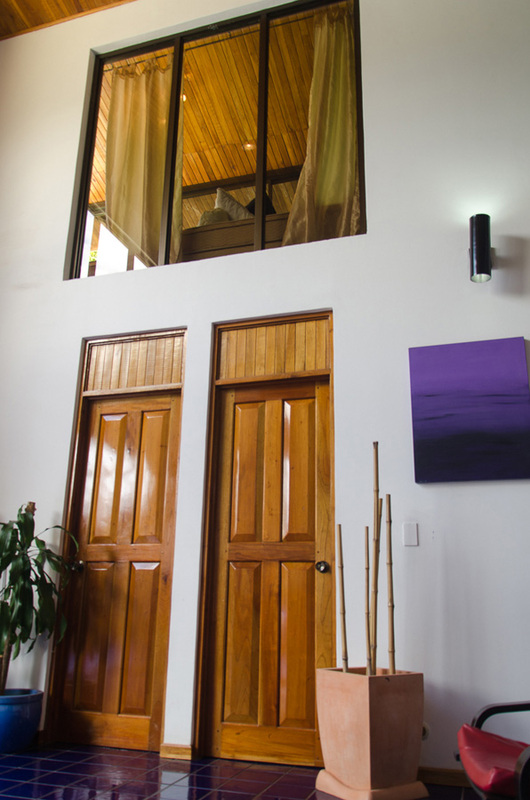 Whole house music system with audio jack for your iPhone, iPod, Android etc. 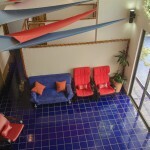 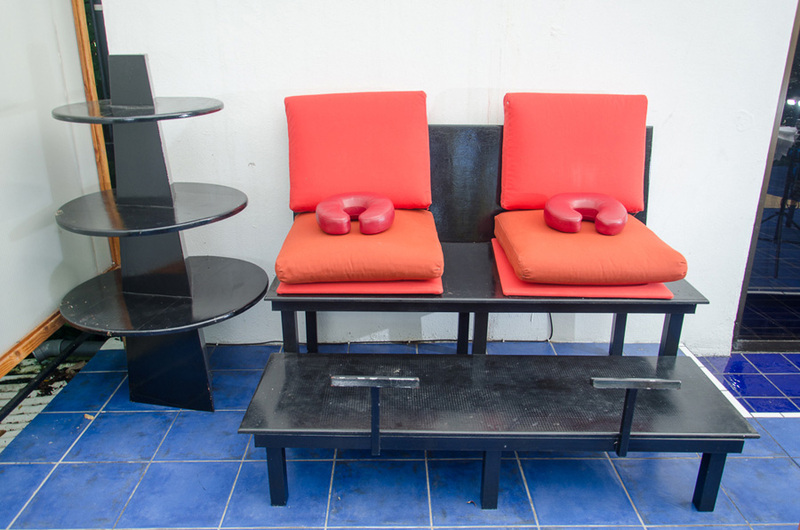 Villa Manuel has 2 levels. 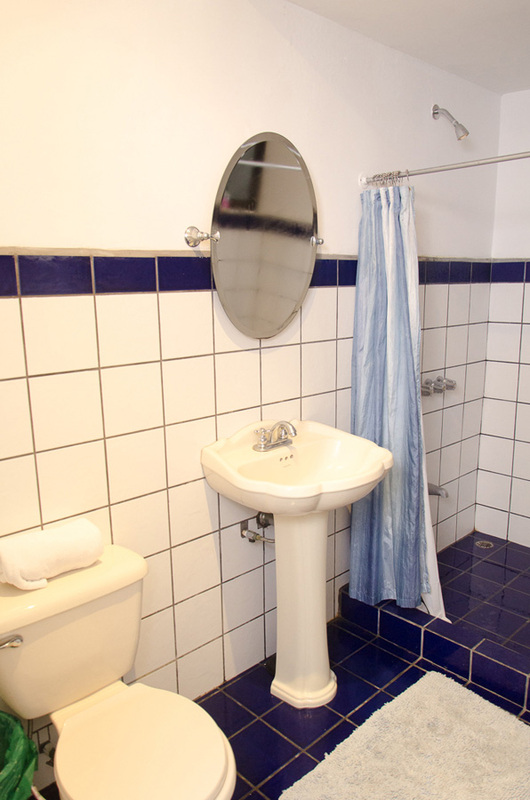 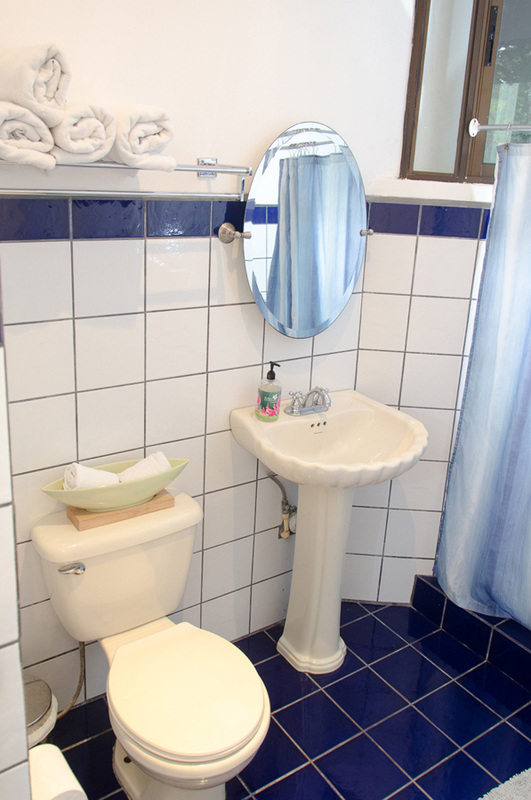 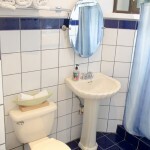 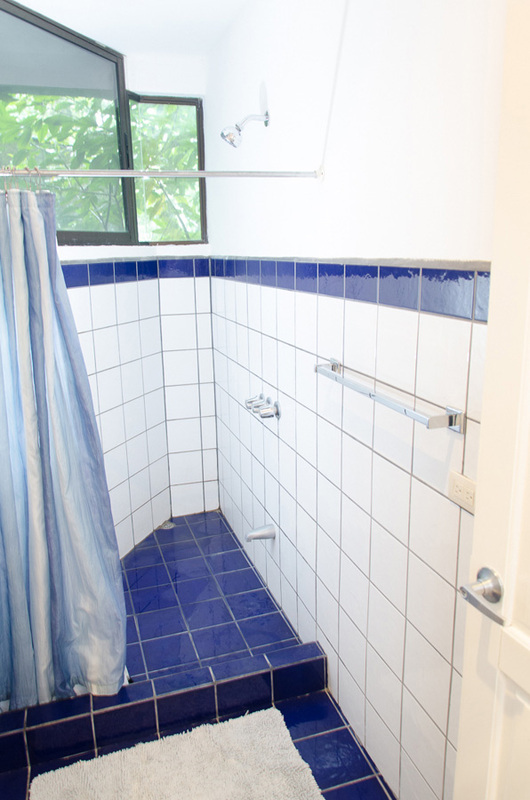 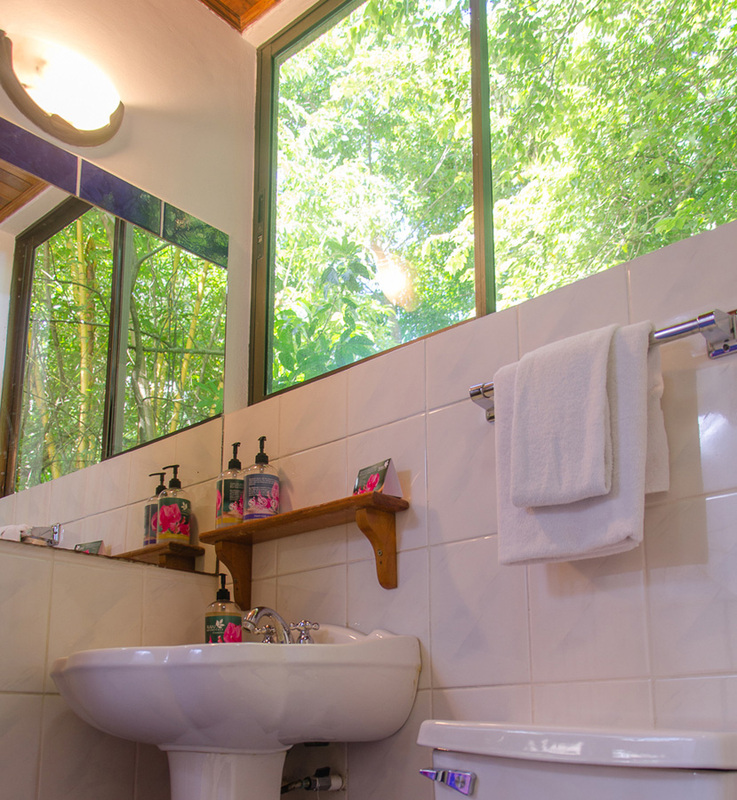 The top has an open floor plan with a master bedroom containing an en-suite bathroom with shower. 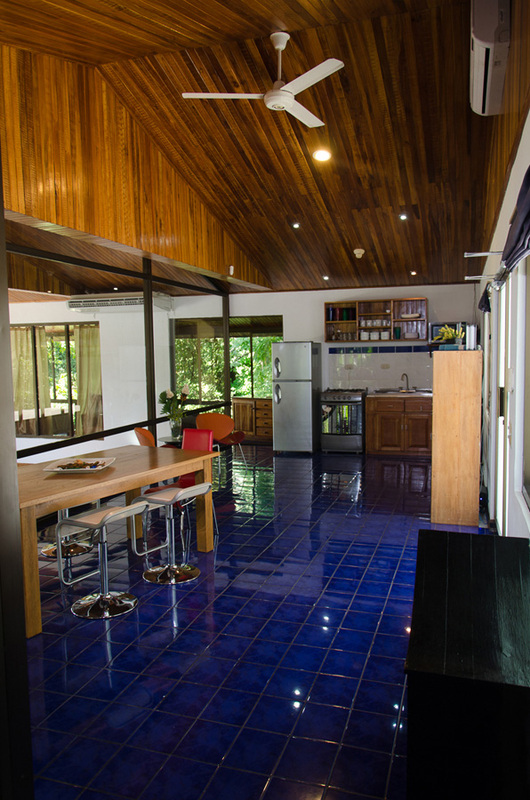 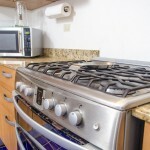 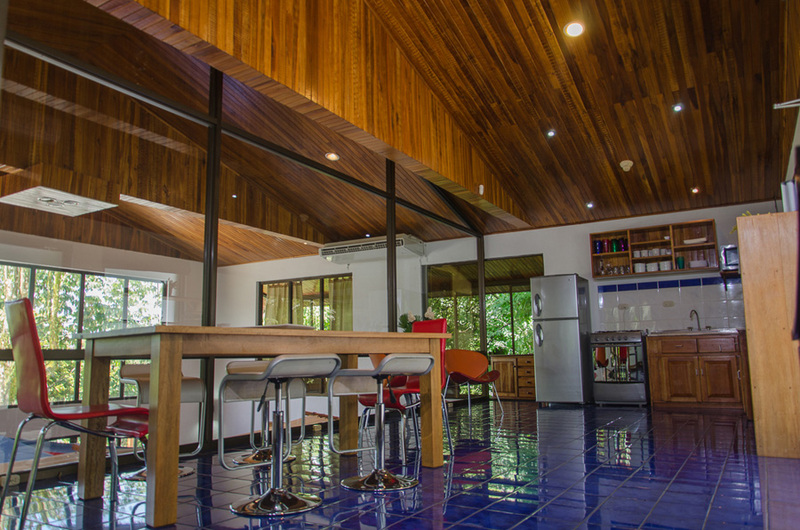 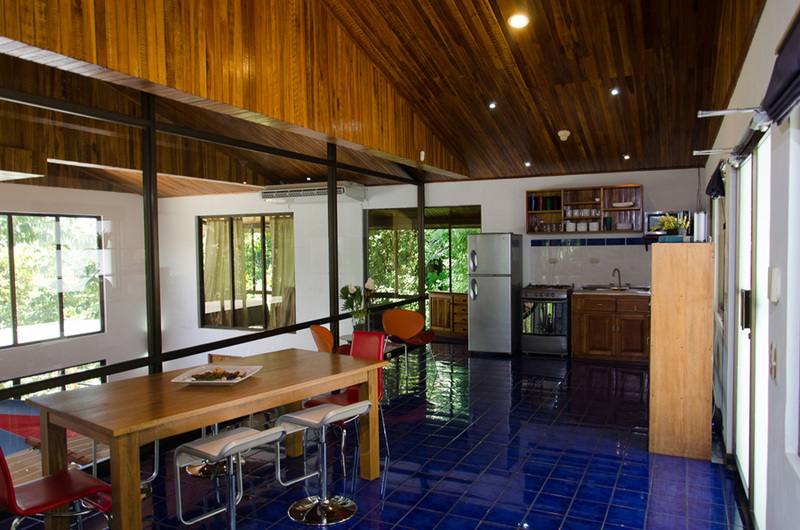 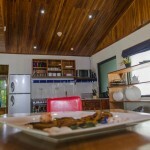 The living area has a modern kitchen, dining area and lounge space, and half bath. 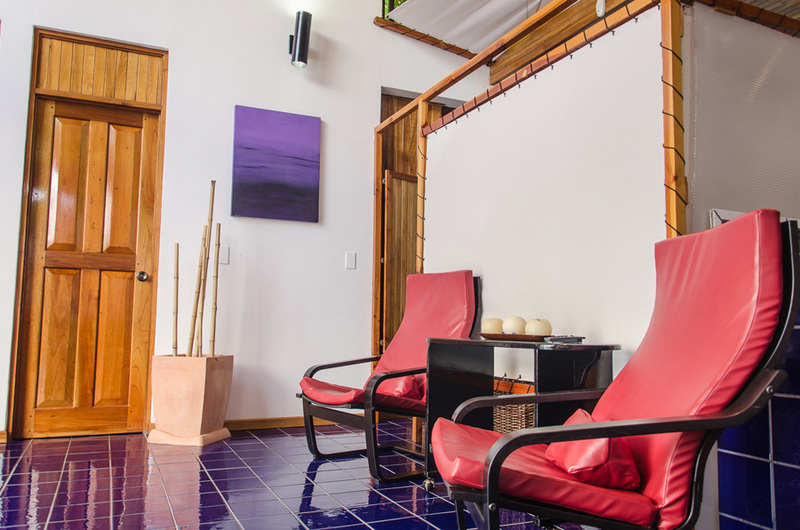 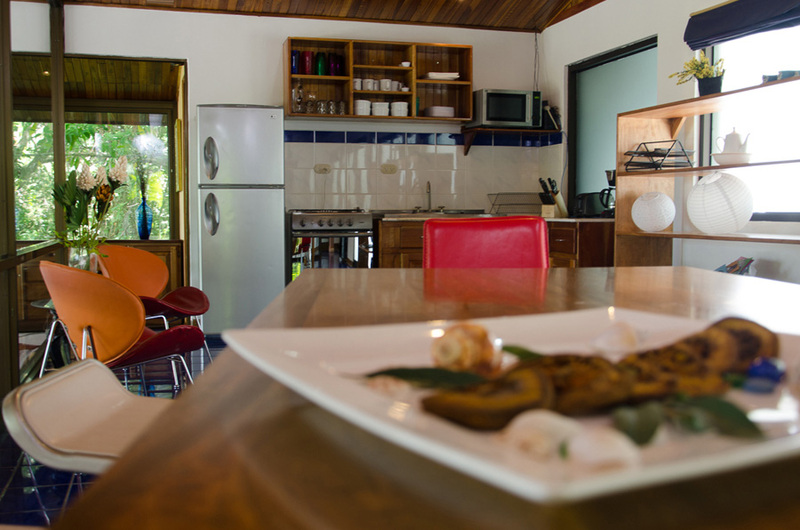 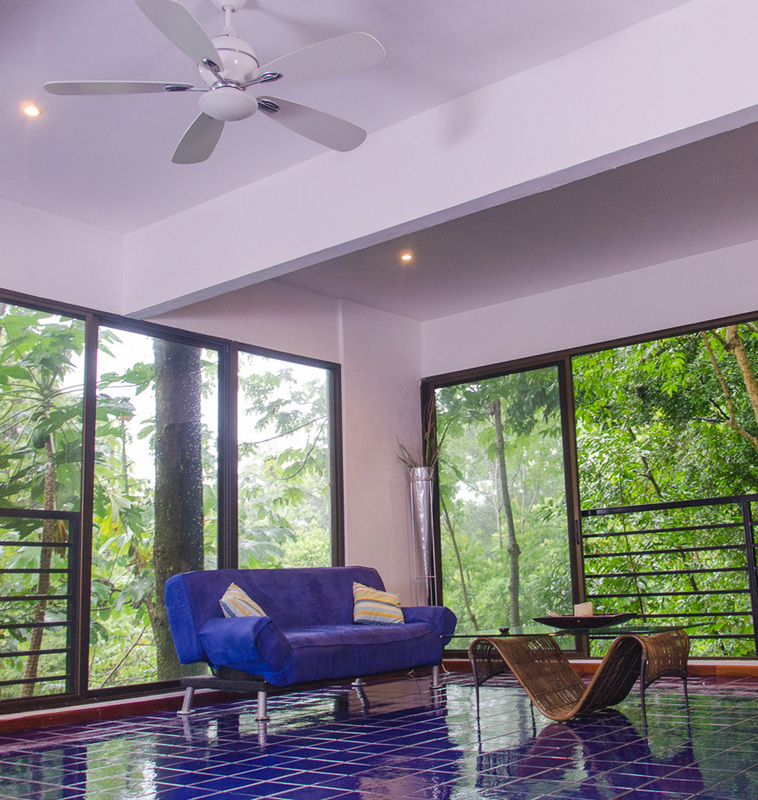 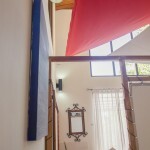 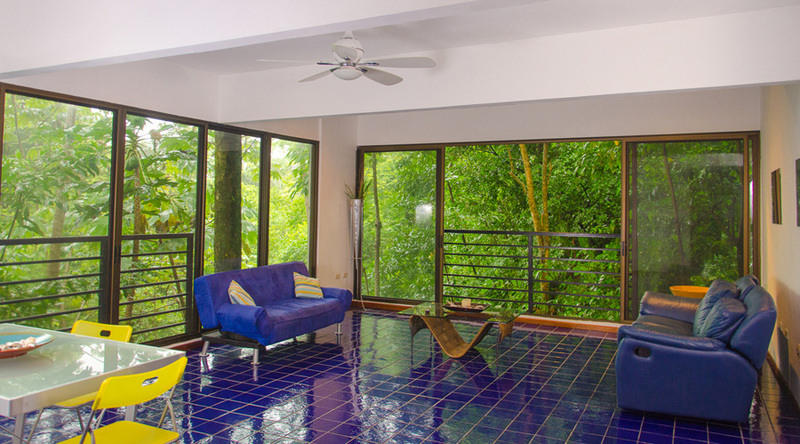 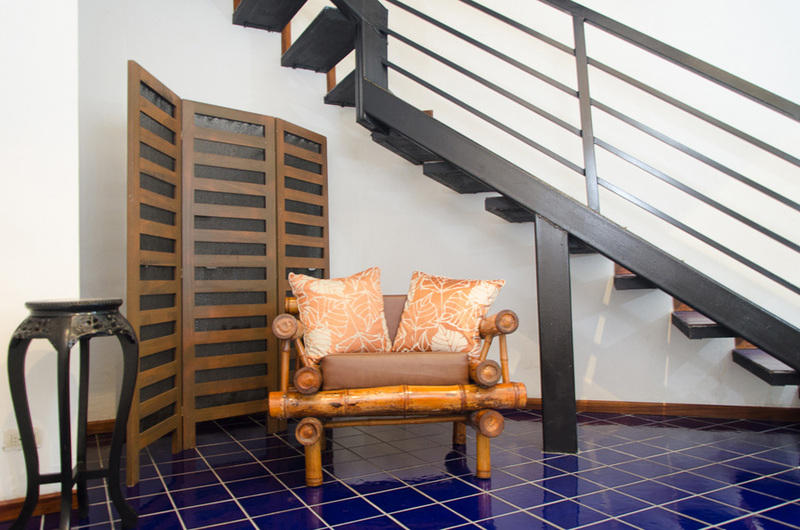 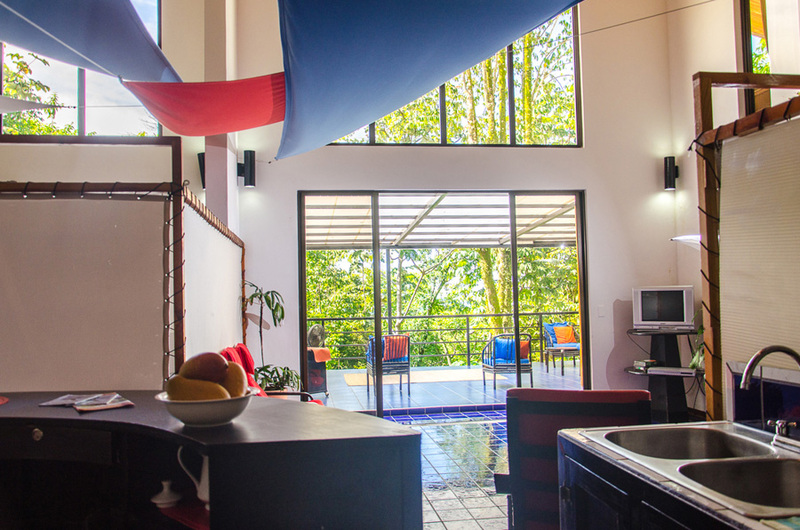 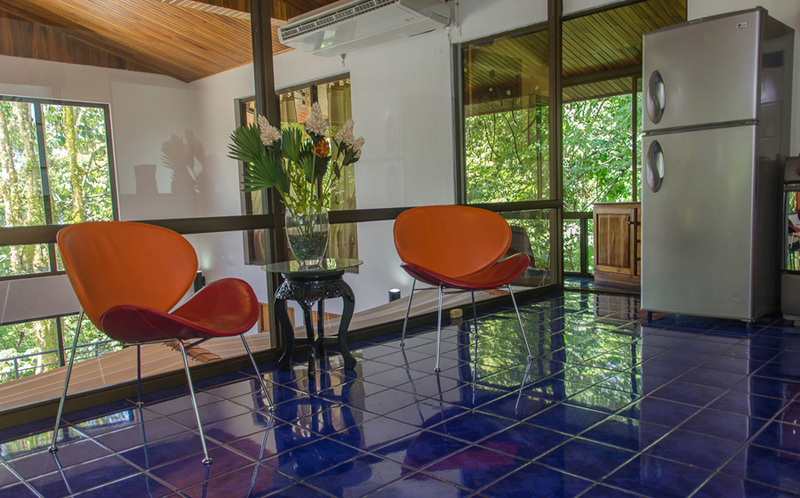 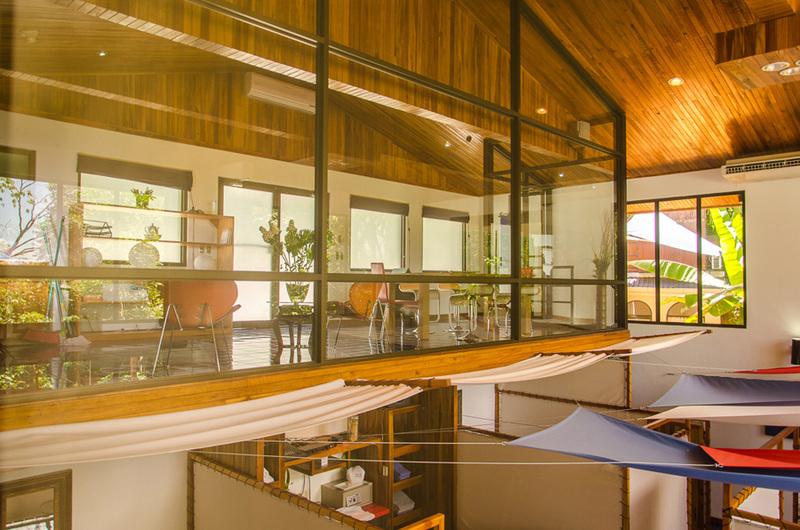 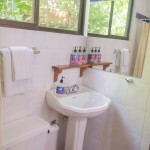 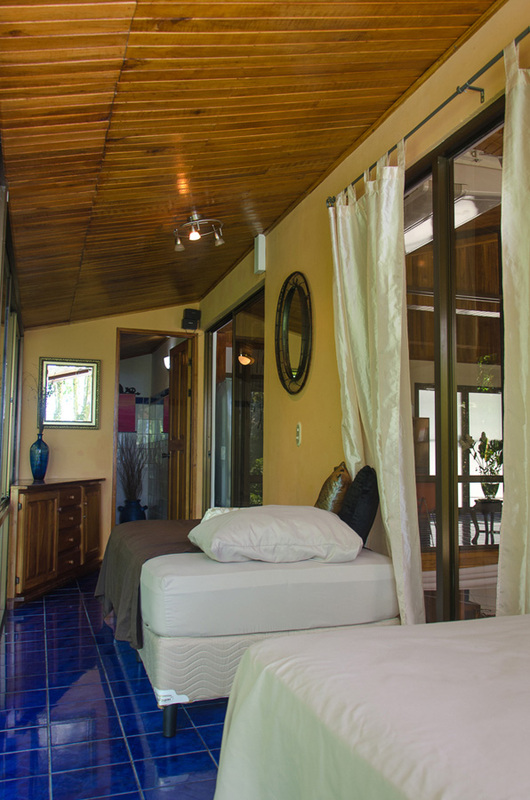 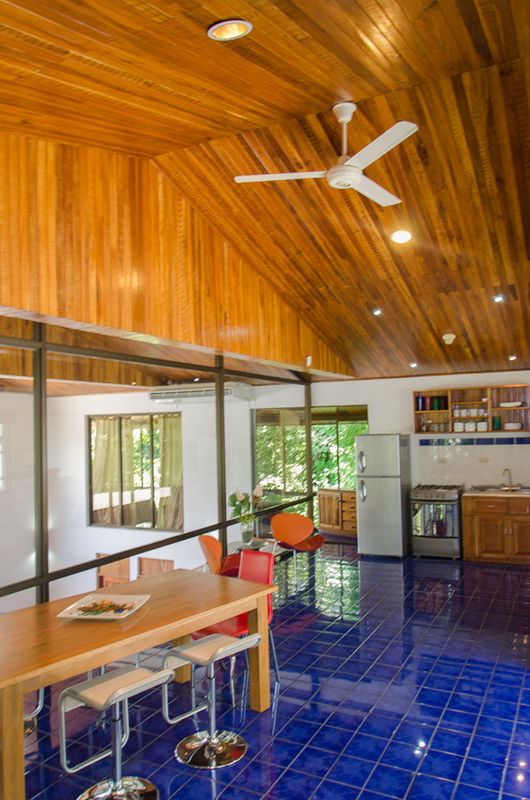 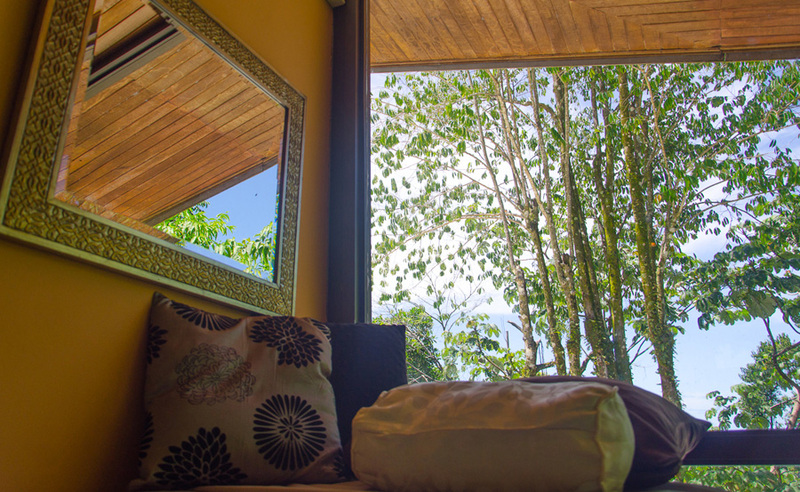 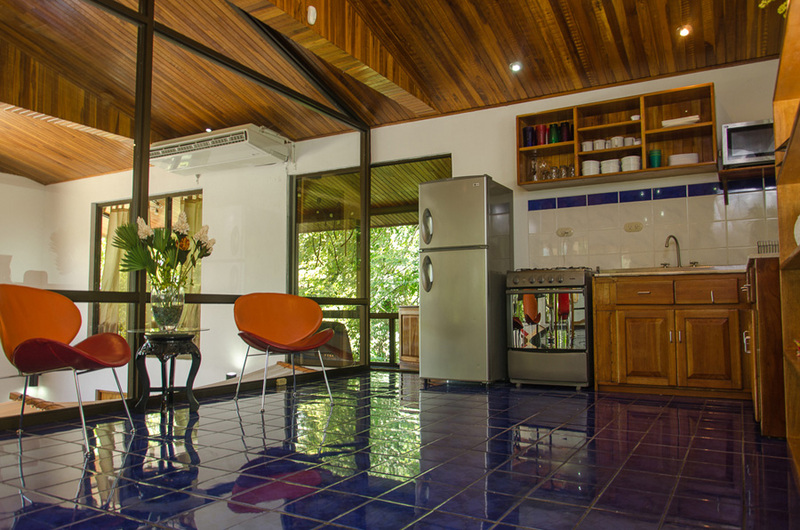 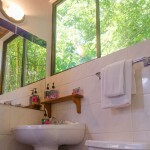 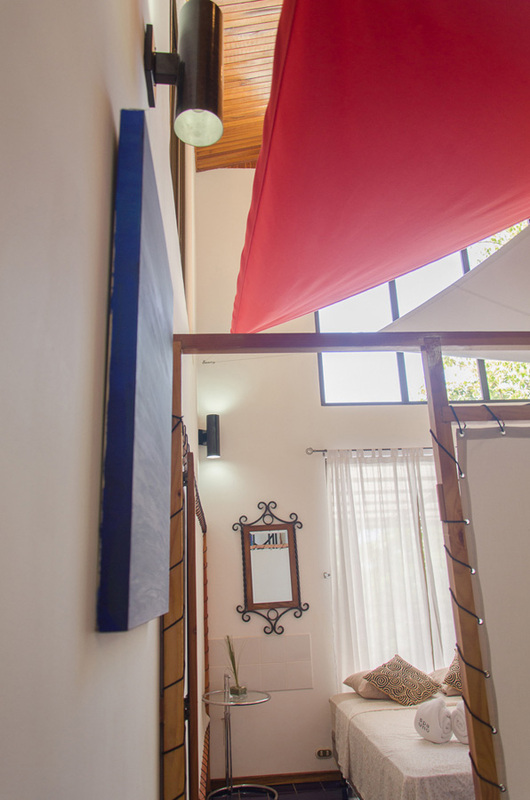 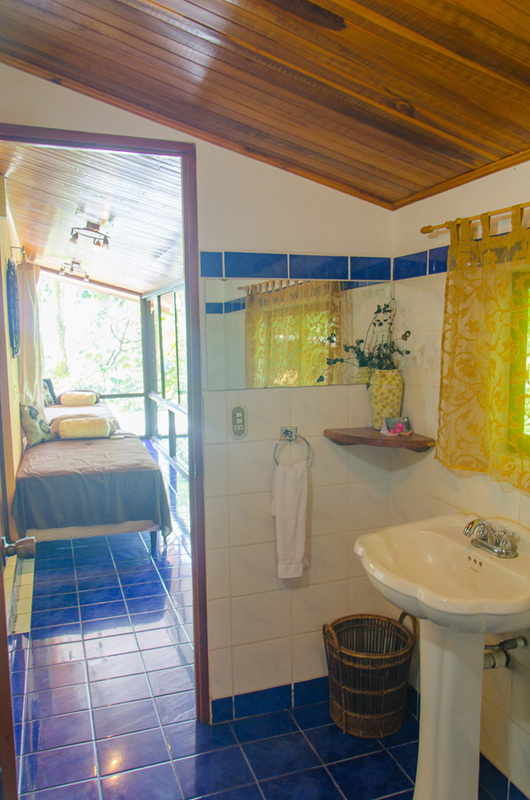 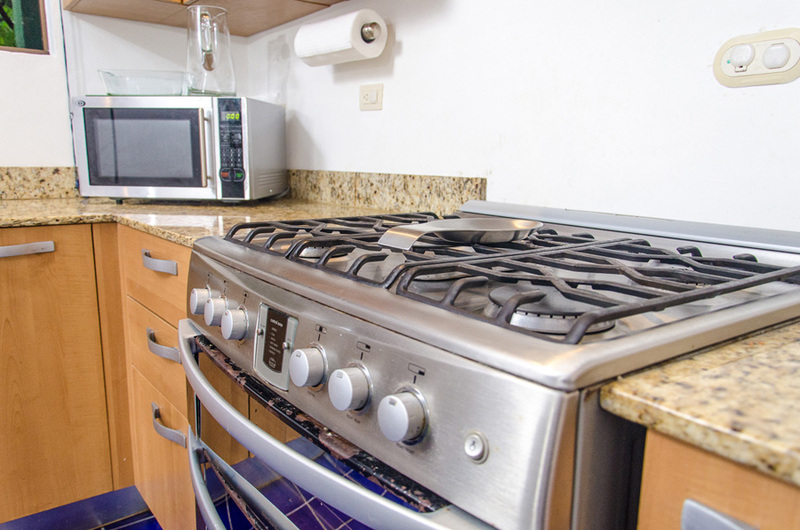 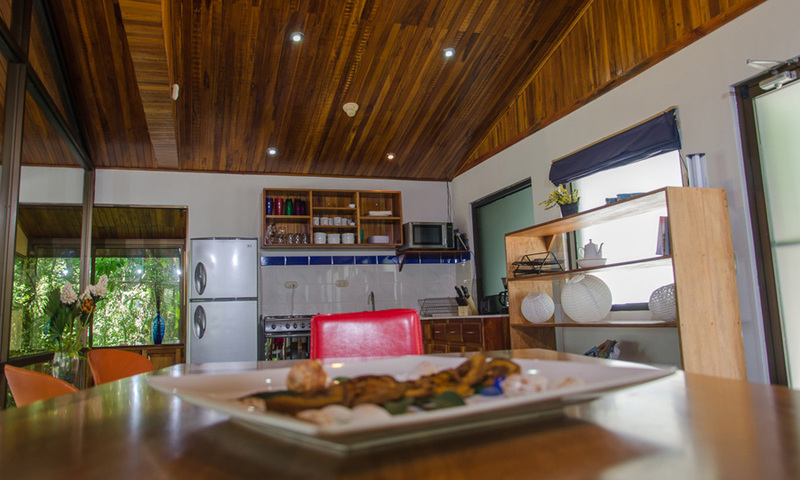 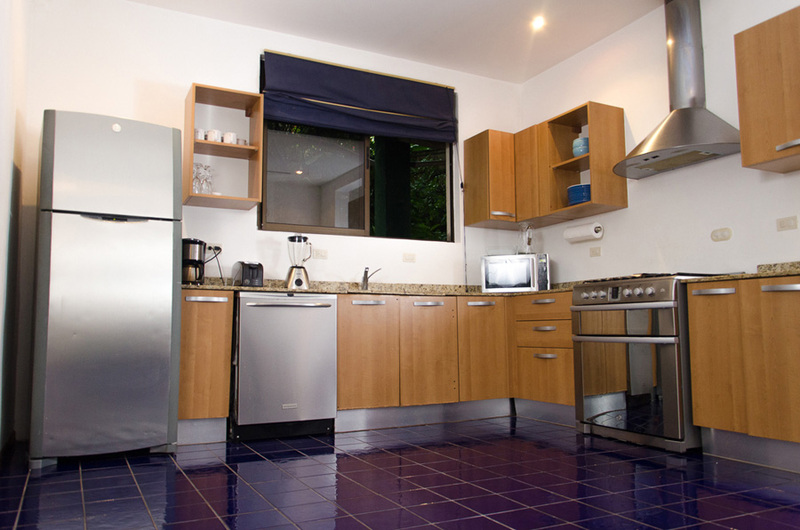 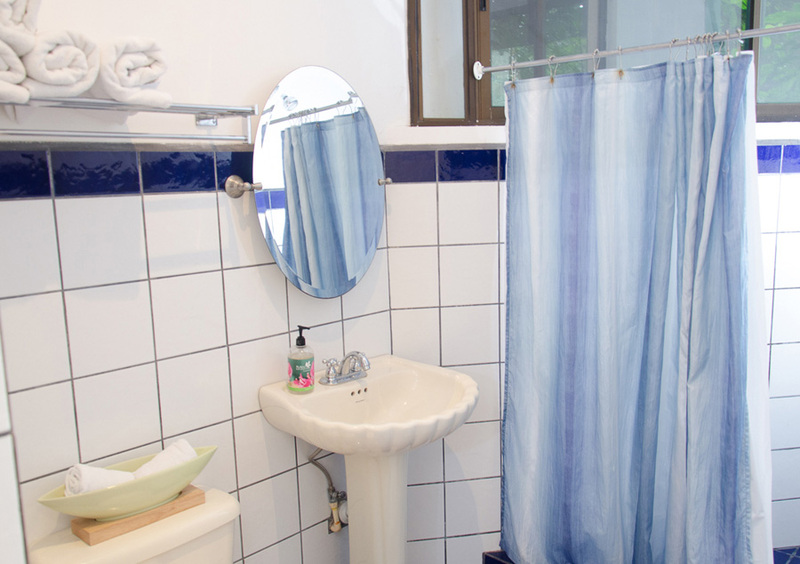 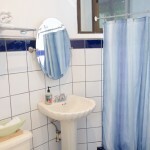 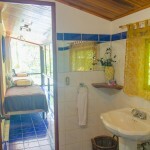 The lower floor of Villa Manuel is set amidst the lower tiered rain forest canopy and includes a full bathroom, and a second and third bedrooms with queen size beds. 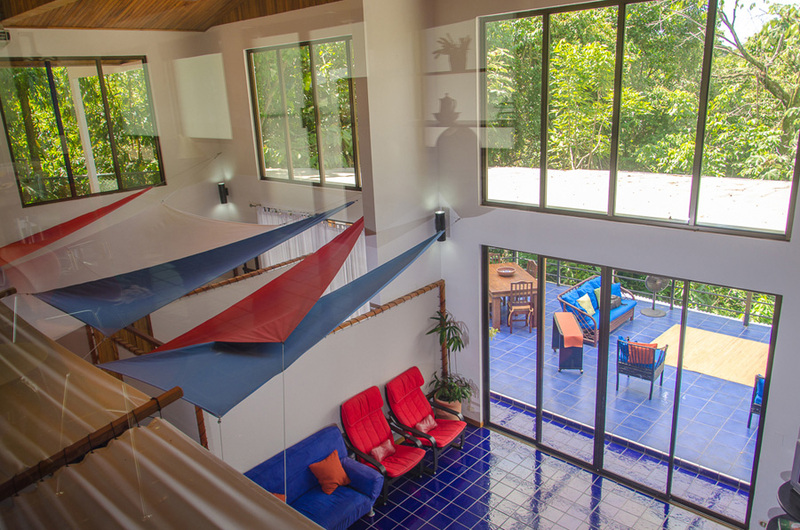 The entire retreat space is great for exotic bird and monkey watching, with toucans and the rich distinguished call the howler monkey a regular occurrence. 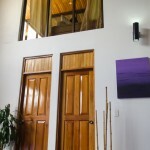 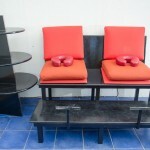 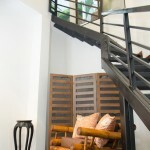 Why Villa Manuel & The Loft?